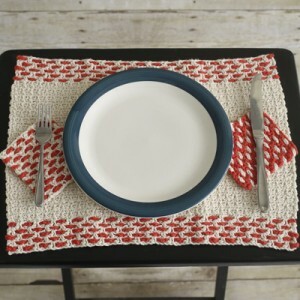 This adorable placemat and coaster set is the perfect adornment for any table. 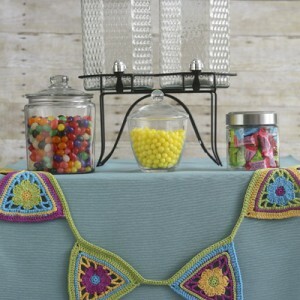 Set the ideal table for any dinner party with this easy pattern set, perfect for beginners. Mix up the colors to match your decor and customize the pattern to your tastes. 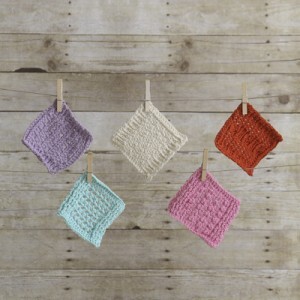 Spruce up your kitchen with this set of five unique beginner-friendly washcloths. 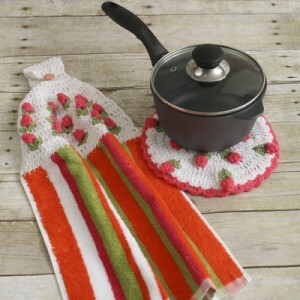 Featuring different but complementary patterns, this versatile washcloth set doubles as a coaster set to protect your tables and countertops. Add some bright and cheery birds to your home décor with these adorable Summer Songbird Appliques. 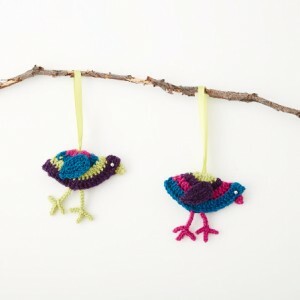 These birds are perfect to hang up anywhere you might want a pop of color, and since they require such a small amount of yarn, they’re perfect stashbusters.